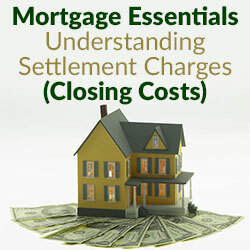 When you get a mortgage loan (either for purchasing a new home or refinancing your current mortgage), that loan will carry settlement charges, generally known as “closing costs.” These include things like points, appraisal fee, title search and insurance, survey, taxes, deed recording fee, credit report charge and other costs. 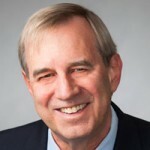 Settlement costs include two types of charges. I’ll call them non-recurring fees and recurring fees. Non-recurring fees are called closing costs, or costs to obtain that specific loan, while recurring fees are funds necessary to cover escrow set-up and prepaid interest. Let’s get the recurring fees better described and out of the equation quickly since these fees apply to virtually all mortgage loans and you need to understand why they occur. Escrow set-up is a calculated amount of money you need to deposit with the lender in a non-interest bearing account so that when added to your monthly escrow portion of your mortgage payment it will result in enough cash so that when your property tax and Homeowner’s Insurance premium is next due to be paid – the lender can make these payments on your behalf directly to the taxing authority or the insurance company. If you have enough equity in the property (generally 20 percent down payment for purchases or the same percentage in equity for refinances), most lenders will allow you to “waive escrows” for a reasonable one-time fee and pay your own taxes or insurance premium. The other recurring fees are the interest due on the new loan from the day the new loan funds until the end of that current month. So if the new loan funds on September 17, you will pay interest on that loan from that day until September 30 at closing, and since future interest on mortgage loans is paid in arrears, your first full payment on the new loan would not be due until November 1. If this is a mortgage loan to purchase a property, you will also have one last fee and that would be to pay for the first full year of Homeowner’s Insurance at closing. On to closing costs (non-recurring fees). How these are handled will greatly influence your loan’s interest rate. Closing costs include the loan origination fee, attorney or title company charges including title insurance, government recording fees and taxes, appraisal fees and miscellaneous administrative fees. Every program will present a variety of interest rates. Each interest rate is either a “par” interest rate or an interest rate that carries discount points or an interest rate that provides a yield. Understanding the variety of interest rates available for a specific loan program is a very important component of your decision process. An interest rate that carries a yield means that the lender is providing funds you can use to pay a portion of your closing costs and/or recurring fees. An interest rate that carries discount points means that you are paying to “buy down” the interest rate. A “par” rate means that you don’t have to buy that rate (discount points) nor will you receive any funds to help reduce costs (yield). Your mortgage pro should be able to recommend options once he or she knows your financial situation and the details of your purchase or refinance transaction. Some items that will play into the final equation will be how much equity you will have in the property or in a purchase transaction, and if the seller is contributing toward closing costs. Also, the calculation of closing costs will vary greatly between lenders and this will often determine what type of loan program will work best for you. Finally, realize that your mortgage banker (loan officer) acts as your advocate. In other words, he or she acts only in your best financial interest. Find a mortgage pro you feel comfortable with. Someone with whom you will develop a long-term, trusting relationship. Your mortgage needs will change over time and your mortgage banker should be willing and able to help identify and address your changing needs.